Chipotle is a fantastic, affordable, family-friendly restaurant in Wimbledon making delicious Mexican food with top-quality, farm-assured meat and locally-sourced produce - while you wait! 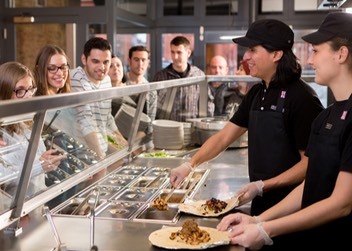 Chipotle offers all the fun of a fast-food restaurant with the added bonus that the food is both authentic Mexican cuisine and made with top-quality, locally-sourced ingredients. "We are much more than a fast-food restaurant," explains the manager of the Wimbledon restaurant, Carol Vandanesi. "All our food is of the highest quality, the meat is farm-assured and everything is sourced locally whenever possible." The excellently-trained staff really help to make the family outing a success. From the minute you walk into the restuarant the relaxed but up-beat atmosphere and attentive, fun style of the service make the whole experience enjoyable for both parents and children. 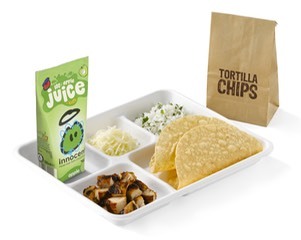 The restaurant, which launched in February, is bound to be a hit with kids, as their meal comes with make-your-own taco/quesedilla kits on thier own tray complete with drinks and tortilla chips. All this for the very reasonable price of �3.50 - �4.50 means a fun restaurant experience without breaking the bank. Knowing that the ingredients are excellent quality (freshly prepared while you wait) and very healthy (farm-assured meat and locally sourced vegetables) is an added plus, especially as the food is not at all expensive. Combined with delicious, authentic Mexican flavours (all stemming from the Chipotle chile of the restuarant's name) and slick American-style service, Chipotle�is sure to be popular with local families. During the month of October�Chipotle�is offering�a special promotion to celebrate the arrival of its new Kid’s Meal Menu. �Customers will receive one free kid’s meal with each adult meal purchased, available each weekend throughout October. 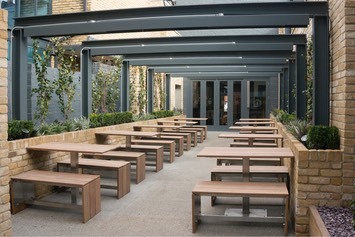 Chipotle�at 40 Wimbledon Hill Road boasts a large landscaped outdoor dining terrace and features a distinctly focused menu of burritos, tacos, burrito bowls (a burrito without a tortilla) and salads. �The�Chipotle�service format allows customers to decide exactly what goes into their individual order; there are more than 60,000 possible combinations! In 2012�Chipotle�was recognised by Compassion in World Farming at the annual Good Animal Welfare Awards and was awarded a Good Chicken Award and a Good Pig Award. �Chipotle�has been praised for its ‘Food with Integrity’ approach to the sourcing of its raw ingredients but in particular for its commitment to using free-range pigs for its pork carnitas and RSPCA Freedom Food certified poultry for its chicken dishes.